What have been some of the major highlights of the tourism industry in Malawi in 2018? The Malawi tourism sector continues to grow. In 2018, the sector held its second Takulandilani Malawi International Tourism Expo, which hosted over 58 international buyers from 24 countries, 10 international media companies, over 10 regional exhibitors from Zambia and Zimbabwe and over 120 local exhibitors. The sector also finalised the draft National Tourism Policy, Tourism Marketing Strategy Framework and Domestic Tourism Marketing Strategy. It also launched the largest development partner intervention in the country’s history under the Africa Development Bank (AfDB)-funded Promoting Investment and Competitiveness in the Tourism Sector (PICTS) USD10 million project which seeks to build and strengthen the capacity of the sector. The ministry has constructed and upgraded a total of 4.8 kilometres of access roads at Senga Bay in Salima District. For 2019, we look forward to the approval of the draft National Tourism Policy by Cabinet because the approval will signal the implementation of a policy that ushers in a new chapter for tourism development. As part of implementation of the PICTS project, a number of key consultancies will commence; that is, the development of a Tourism Investment Master Plan, Ecotourism Strategy, and Capacity Building for Tourism SMEs. Malawi, through the Department of Tourism and working with the National Statistics Office, will also embark on a project to establish the much-awaited Tourism Satellite Accounting System to assist in measuring the contribution and value of tourism to the economy. 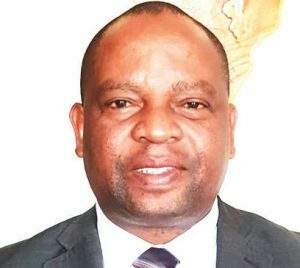 The department will push for implementation of Action Plans of Memoranda of understanding (MoU) it has signed with other countries in the field of tourism and also host the 2019 Takulandirani Malawi International Tourism Expo edition and the second National Tourism Conference. New innovations will include production of tourism attraction signage billboards in Salima, Lilongwe and Mangochi, production of domestic tourism brochures, completion of a comprehensive tourism database and increased corroboration and engagements with the private sector. What sectors of the tourism industry in Malawi were most attractive to foreign tourism enthusiasts? According to 2017 official tourism statistics, 835,000 international tourists visited Malawi. Twenty-two (22) percent of these tourists visited Malawi for purposes of leisure, 68 percent for business, conferences and meetings, with the rest visiting friends and relatives, among others reasons. In terms of leisure, Malawi offers four key product lines, namely; experience water; experience nature; experience wildlife and experience culture and people. The fifth product line is MICE, an acronym for Meetings, Incentives Conventions and Exhibitions, which accounts for 68 percent of international tourist arrivals. Most international tourists visiting Malawi, especially those coming for leisure, are attracted primarily by our magnificent and beautiful lake, its clean sandy beaches, water sports and wooded island, its warm and friendly people with diverse cultures; wide variety of wildlife in scenic and diverse surroundings and our breathtaking scenery and landscapes. What do tourists mostly look for when they come to Malawi? What strides are you taking to improve tourism infrastructures in Malawi? You may wish to know that tourist infrastructure development and improvement is part of infrastructure development of the larger economy and directly falls under another Government Ministry. However, as tourism, we continue to engage and corroborate with our counterparts in development and upgrading of priority tourism infrastructure to ensure accelerated growth of the tourism sector. Currently, the ministry responsible for tourism is implementing access roads to resort areas, a project funded by the government under the Public Sectors Investment Programme (PSIP). Further, we also process, appraise and approve private tourism projects to ensure that tourist facilities and services meet the set minimum standards. We have escalated our monitoring system for improved tourism facilities and services through the implementation of an international star grading system. So far, 20 accommodation units have been graded and additional 10 will be graded in the current financial year. We are, under the PICTS project, developing a Tourism Investment Master Plan that will map the country’s attraction/facilities on offer and identify focus areas for investment in the short to medium term. Malawi, as a destination, has achieved remarkable rebirth of its wildlife population and infrastructure in its protected areas. For the first time in the history of the world, Malawi undertook the largest elephant translocation exercise. In addition, more purpose-built convention venues have been constructed—the magnificent Bingu wa Mutharika international Convention centre in Lilongwe is an example of deliberate government intervention to attract world-class meetings and conferences. Just recently, the government secured land in Salima for public beach development to improve integrated planning, reduce potential conflict between communities and property owners and improve the quality of life for her people. What challenges is the Malawi tourism sector facing and how are they being overcome? The major challenge facing the tourism sector is stakeholder collaboration. By its very nature, tourism is a multi-sectoral industry that is impacted by policies and decisions made by other sectors. Since tourism is currently not mainstreamed in all sectors, the sector continue to face challenges that limited accessibility to the country’s major tourist attraction areas; [there is also the issue of] limited regional, domestic and direct flights and seats which makes flying to around Malawi relatively expensive; power outages; relatively high visa fee, among others. To address these challenges, the sector continues to engage the relevant stakeholders to ensure some of the critical challenges are addressed. For example, we have been engaging Ministry of Home Affairs on cumbersome visa application processes and high visa fees and there appears to be some positive developments. The government, which is working on several key road infrastructure projects throughout the country, has already started working on several roads leading to key tourist attraction sites. If the draft National Tourism Policy is approved and adopted, tourism will be considered as a cross-cutting issue and, therefore, will be mainstreamed at all planning levels. This will help in addressing the various bottlenecks that impinge on growth of he sector.